Hitachi provide a product based on quality and durablility backed by great after sales service. The business has grown and developed and has a significant share in the market. Hitachi machines are designed for complete customer satisfaction. View the range of Hitachi online. 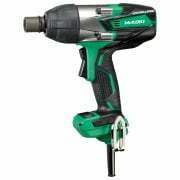 We stock Hitachi angle grinders, circular saws, radios, rotary drills, cordless drills, sds drills and nailers.